Introducing Manufacturing Technologies and Equipment | TOKUSHU KINZOKU EXCEL CO.,LTD. 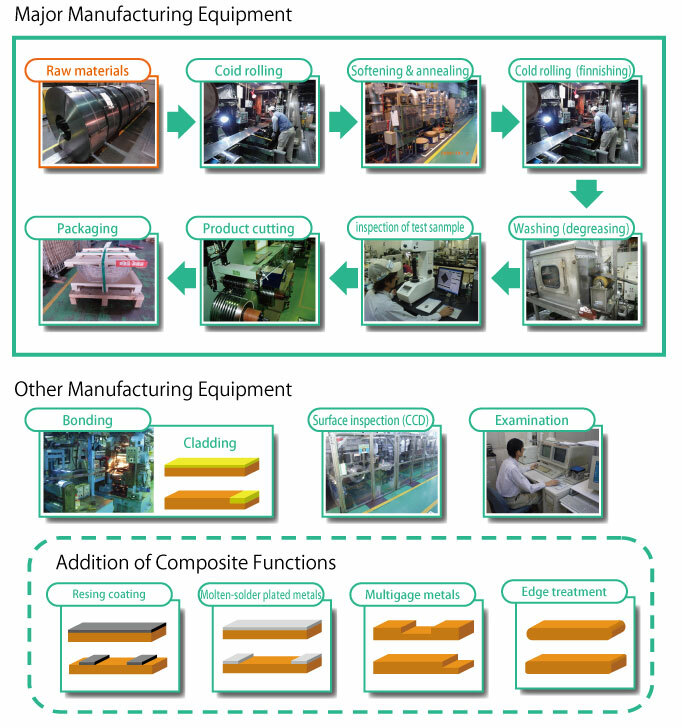 The images below provide an overview of our manufacturing process. Created by our cold rolling and heat treatment technologies, our ultrafine grain metal materials have an average grain size of 1 μm. They can be used to improve quality, strength–ductility balance, and other factors in micropore fabrication, and drawing and bending processes.